Add a capital “X” to the end of your product’s name and there you have it. Or at least that’s what Neuro Research Institute wants you to think with their “pharmaceutical grade” supplement stacks, such as TranquiliX and, the subject of this review, NootropX. Given the increasingly negative association with pharmaceuticals, this seems like an outdated approach to nootropics. But who knows? Maybe Neuro Research Institute is onto something here. 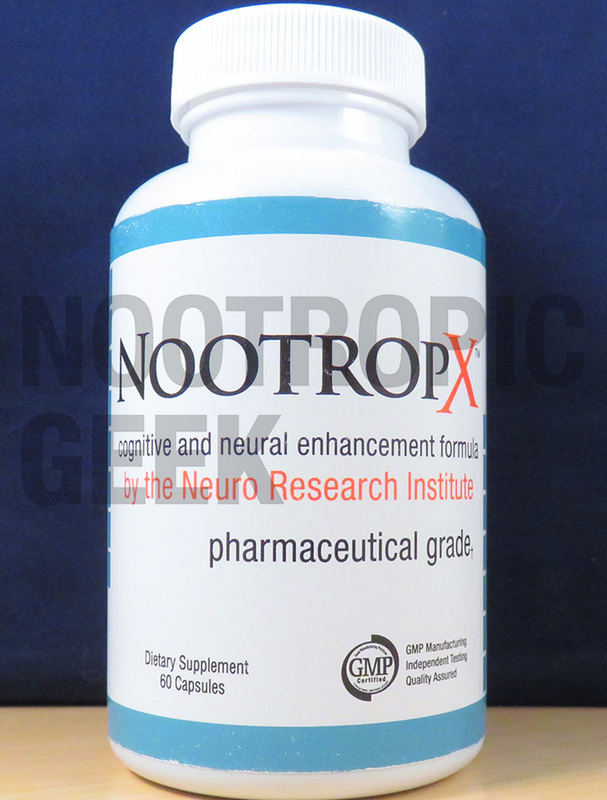 Manufactured by Neuro Research Institute, NootropX is a self-described “Pharmaceutical Grade” nootropic stack that uses all-natural nootropic ingredients. Many of the ingredients are well-chosen and high-quality, providing a complementary up-down mix of relaxers & stimulants. 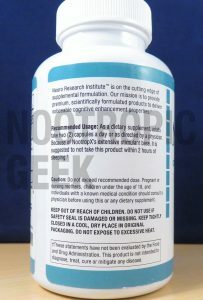 Aside from B12, all of NootropX’s formula is hidden underneath a proprietary blend, which is unfortunate as this product has plenty of potential. Bacopa Monnieria 45% Bacosides, L-Theanine, Korean Ginseng 5% Ginsenosides (Panax schinsen), Guarana 50% Caffeine (Paullina cupana), Ginkgo Biloba, Rhodiola 3% Rosavins, Vinpocetine, Huperzine Serrata (1% Huperzine A), DMAE Bitartrate, Theacrine, Choline Bitartrate, Alpha-Lipoic Acid, Phosphatidylserine 20% (from soy). Directions: As a dietary supplement, adults take two (2) capsules daily with a meal, or as directed by a physician. 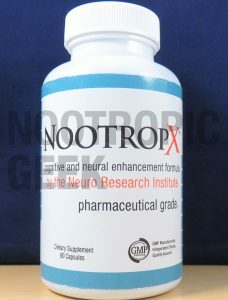 Due to NootropX extensive stimulant base, it is suggested not to take this product within 4 hours of sleeping. Vitamin B12 (as Cyanocobalamin) – Older B12-deficient users may benefit by B12 supplement, but I’d side with B6 for more nootropic effects. Cyanocobalamin is inferior to the methylcobalamin B12 form. More on Vitamin B12. Bacopa Monniera (45% Bacosides) – Anti-stress Ayurveda adaptogen, great for learning & memory when supplemented long-term. NootropX supplies Bacopa in quality 45% bacosides extract, so that’s groovy, too. More on Bacopa. 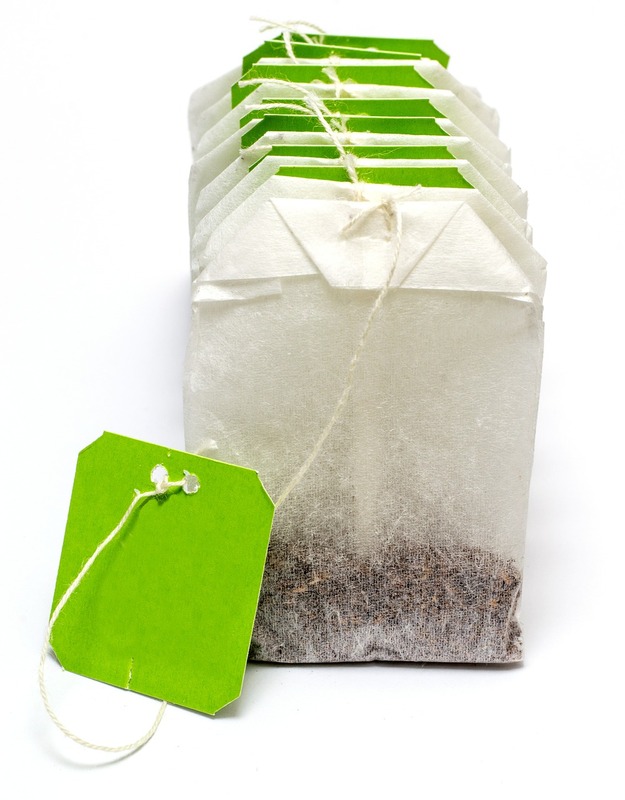 The OG nootropic stack: Green Tea. 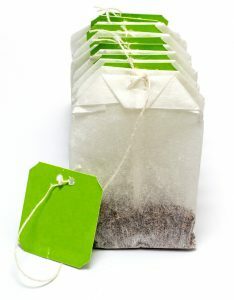 L-Theanine – Green tea compound valued in the nootropic community for its relaxing, mind-awakening benefits. Great complement to Caffeine for its jitter reduction. More on L-Theanine. Korean Ginseng (5% Ginsenosides) (Panax schinsen) – Quality ginseng extract that may enhance mental performance via increased energy, but I like it more for its physical enhancing power. More on Panax Ginseng. Guarana (50% Caffeine) (Paullina cupana) – Guarana has more caffeine per content than coffee, so this 50% is nothing to scoff at. I wish I knew the exact dosage of this ingredient to get an idea of how much caffeine we’re dealing with here. More on Guarana. Ginkgo Biloba – Typically valued for its circulatory benefits, Ginkgo has been demonstrated to support attention & working memory for both the old & young. More on Ginkgo Biloba. Rhodiola (3% Rosavins) – One of my favorite adaptogens for its noticeable anti-fatigue, anti-stress effects. Helps mental & physical performance. More on Rhodiola. Vinpocetine – More cerebral circulation. While its semi-synthetic state draws questions from some regulatory institutions, I think it’s one of the best for enhancing brainpower & health. More on Vinpocetine. Huperzine Serrata (1% Huperzine A) – In small dosages, Hup-A can have significant effects on brain chemicals, mental energy, & neuroregeneration. Its inhibition of acetylcholine breakdown is particularly beneficial for memory-related tasks. More on Huperzine A.
DMAE Bitartrate – Speaking of acetylcholine, DMAE supports the neurotransmitter while optimizing brain cell membranes and settling agitated Theta brainwaves. Effective multi-purpose nootropic. More on DMAE. Choline Bitartrate – Choline is great for enhancing neurotransmitters & brain cell membranes, but this choline is the non-nootropic form. Better choline supplements include Alpha-GPC & Citicoline. More on Choline Sources. 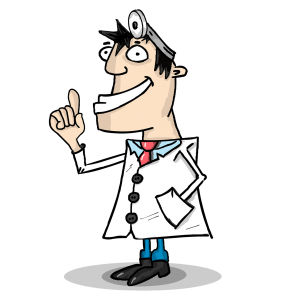 Alpha-Lipoic Acid – Viewed as the “Universal Antioxidant” for its resistance to free radical damage. Not a nootropic, but may offer neuroprotective support. More on Alpha Lipoic Acid. 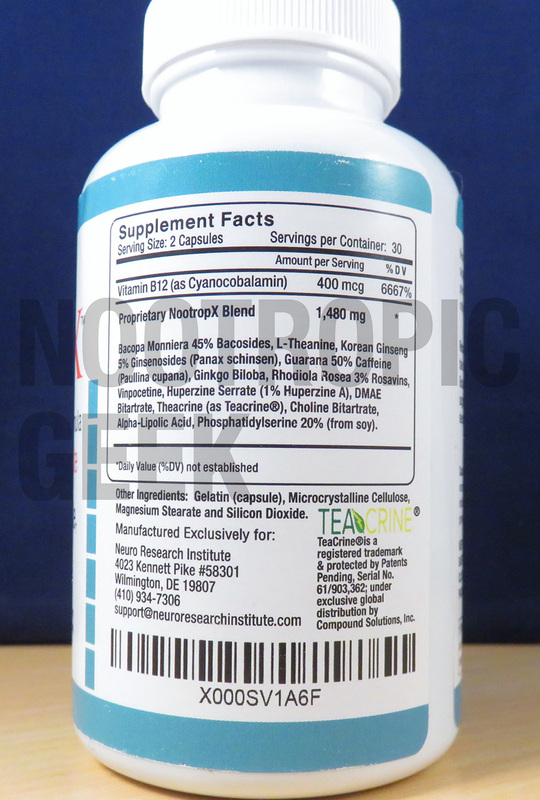 Phosphatidylserine 20% (from soy) – Awesome nootropic prioritized far too low on this blend. Promotes brain health for now & later cognition, but I doubt there are enough milligrams here to have any significant effect (especially since it’s a few ingredients down from Hup-A). More on Phosphatidylserine. 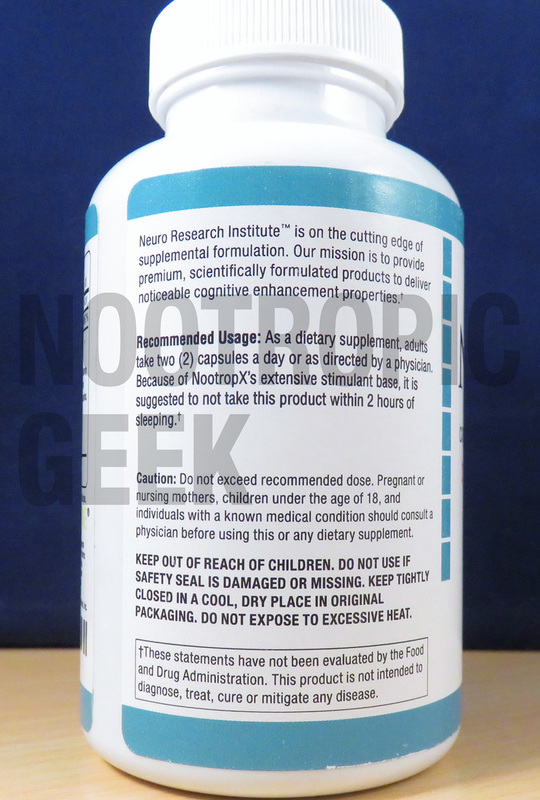 Here’s what’s painful about proprietary blend formulas such as NootropX: The ingredients are on-point, but there’s no way of knowing whether or not they work. Or if they do work, how do you figure out what’s working in the formula? Did you say “pharmaceutical”? Sounds legit! You don’t. Because of the proprietary blend. Average space of 112.69 mg per ingredient. Bacopa being the highest dosed ingredient. Phosphatidylserine being the lowest dosed ingredient. Except for Phosphatidylserine, this isn’t terrible. Bacopa is a solid nootropic when chronically supplemented, and the herb’s extract quality speaks in its favor. Plus L-Theanine & Ginseng aren’t bad follow ups to this herb. I’m not too big on the sneaky insert of caffeine. Typically when proprietary blend supplements include caffeine, they do so at an exorbitant amount relative the actual brain-healthy ingredients in the formula. Granted, NootropX’s ingredient order isn’t all that bad, but it still raises question marks. Additionally, NootropX (and other Neuro Research Institute products) has a poor rating on Fakespot for its high rate of “inauthentic/low quality reviews.” Through the system’s engine, the product has determined that deception may be involved. While I can’t say for sure whether this is true with regards to NootropX’s online presence, the “Pharmaceutical Grade” label is BS. That’s a bad sign. And bad signs seem even badder on a proprietary blend. 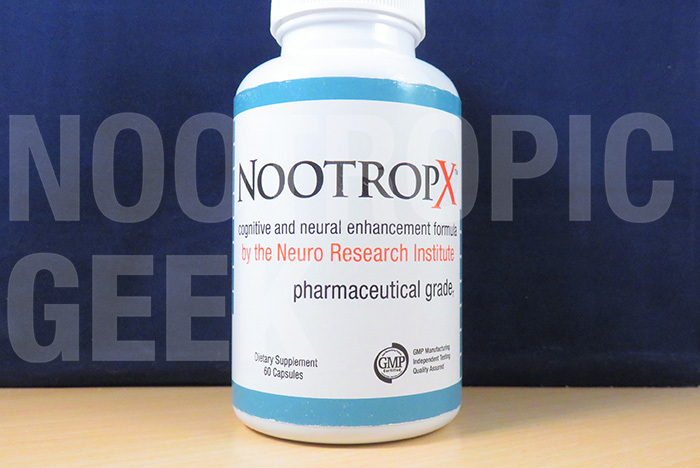 NootropX mixes together well-chosen adaptogens & mental relaxers to complement its caffeine, creating what looks like a decent calming focus enhancer. Most of the herbs are high quality and potent. NootropX is reasonably priced (if bought on Amazon). The proprietary blend obscures the individual ingredient dosages. The ingredient order is questionable, especially following caffeine (ending with phosphatidylserine, which, frankly, deserves better, dammit). Caffeine isn’t bad with L-Theanine to go along with it, but it’s still not a nootropic in my book. NootropX’s “Pharmaceutical Grade” design seems to appeal to (or wants to appeal to) the “smart pill” users who are looking for a sneaky Adderall-alternative supplement. It does offer potential brain protective benefits for the older users, yet I see younger, student-aged doods & doodettes taking this stack. NootropX is sold through Amazon & eBay. Response 2: No it doesn’t work, so I conclude with no recommendation. Response 3: I don’t know, so I conclude with no recommendation. NootropX invokes Response 3 and thus doesn’t earn my recommendation. How can I know whether or not this works without knowing the exact contents of its formula? Even though it’s not egregious in its formula obscurity, it doesn’t quite do enough right for me to be adequately confident in its efficacy–proprietary blend or no. The silver-lining: NootropX is cheap enough for you to at least give it a try. At worst, it doesn’t work, but is at least a healthier caffeinated alternative to coffee. And that’s worth at least something.